Spinnakers’ Landing is conveniently located on the Summerside waterfront with all major services in close proximity. 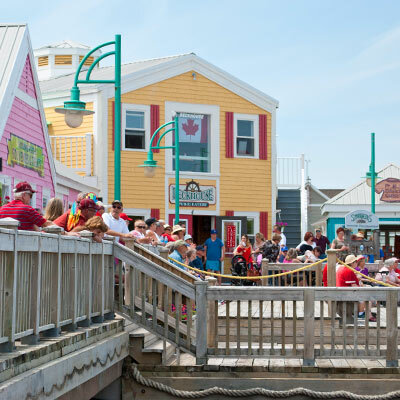 The seasonal marketplace boasts over 11,000 square feet of shops, restaurants, picnic area, and an outdoor entertainment stage to cater to local visitors and tourists alike. Spinnakers’ Landing operates from early June to September and is the venue for many community events during the summer season. To get more information on leasing, visit our Contact Us page.